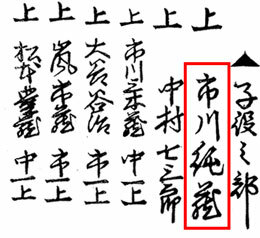 The actor Ichikawa Sumizô III held this name from the 8th lunar month of 1830 to the 2nd lunar month of 1837. 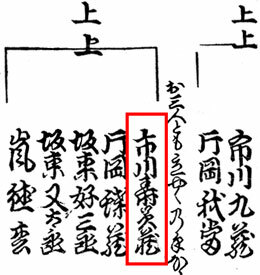 The actor Ichikawa Raizô V held the name of Ichikawa Sumizô IV from the 2nd lunar month of 1858 to the 12th lunar month of 1858. 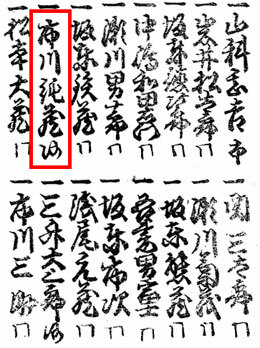 The actor Ichikawa Sumizô V held this name from November 1878 to May 1906. 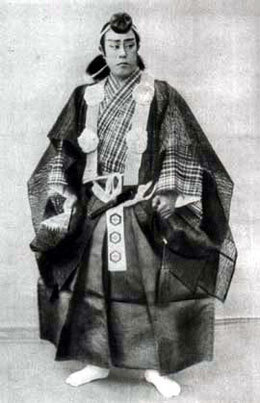 Ichikawa Sumizô V playing the role of Benkei in the dance-drama "Kanjinchô"
The actor Ichikawa Jukai III held the name of Ichikawa Sumizô VI from March 1907 to January 1949. 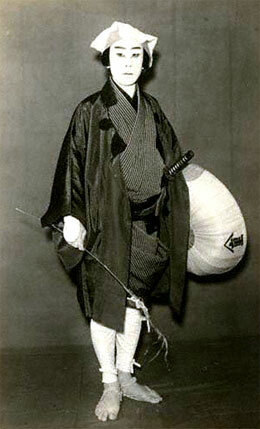 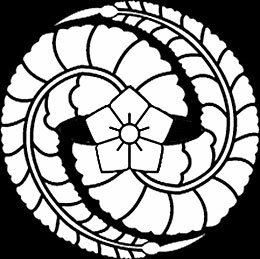 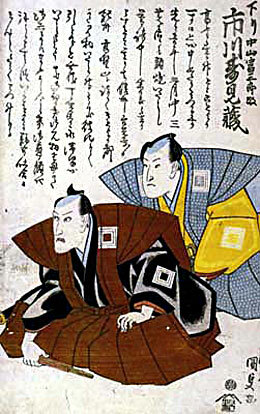 The actor Ichikawa Sumizô VII held this name from February 1949 to March 1985.